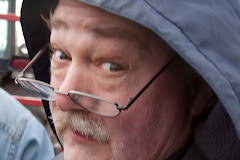 First and foremost, Happy Father's Day to all of you fathers out there, and to the fathers of everyone reading this! 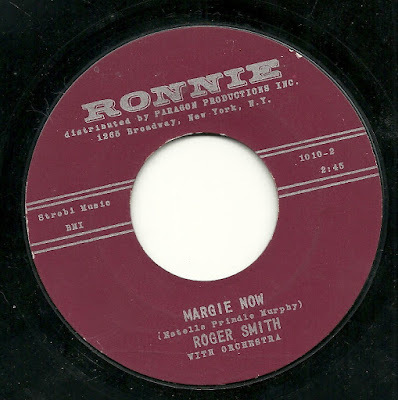 Here's my solemn promise to everyone out there - when I obtain a Roger Smith 45, I will always post it here very quickly. Or maybe that doesn't mean much to anyone but me, but I sure do love the barely-in-control vocals on many of his records (at least the upbeat ones). Here we have a very early release on the Ronnie label (the first one documented at AS/PMA), dated to early 1961, via a mention in Billboard within a list of records believed to have "limited sales potential". That assessment was no doubt accurate, but I really enjoy one side of the record, "Margie Now", which features some lyrics about the nicknames of a certain young woman. The words seem to assume we will understand what the changes in names indicate about her, but I admit to being clueless about this. But Roger Smith sure sells it, and the pedal steel sounds nice, too. There is a some truly awful damage to the record, at the 2:32 point, which is really peculiar, lasting essentially two rotations of the disc, and barely visible at all on the record itself. It plays right through, though. 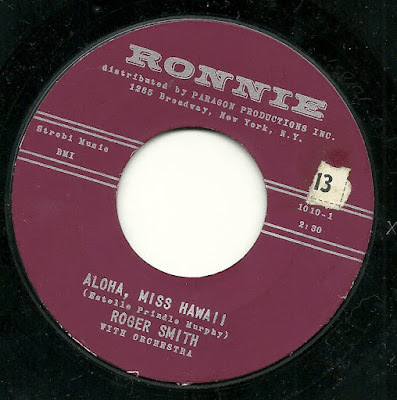 I cannot work up much (or any) enthusiasm for the flip side, "Aloha, Miss Hawaii", but it would have been quite topical at the time, given that this record was produced less than 18 months after our 50th state joined the union, and the lyrics are serviceable enough. Like the flip side, this record sounds, to me, very much as if it came from the early days of the Globe song-poem factory. I find a moderate bliss overtaking me, as I bask in the warm vibes unleashed over me from these two exotic tunes. BOTH are tremendous, maybe in part, I'm sure, because of the primo vocalist, Mr. Smith, but he seems to infect the musicians as well, with his spaced-out enthusiasm. I think there's some intended point in there about how someone's nickname can change as they get older, and that "Peg" is a kid name, but "Margie" is a hottie's name. Ripley once said something about how the name with the most variants is "Mary Magdalen," which seemed kind of a cheat (that's two! ), but produced an impressively long list of variants, including Maggie, Peg, and Margie, among others. Maybe the songwriter saw the same "Believe It Or Not!" strip that I did. I could imagine Jimmie Dodd singing this song. Rod Rogers on Lane Records!